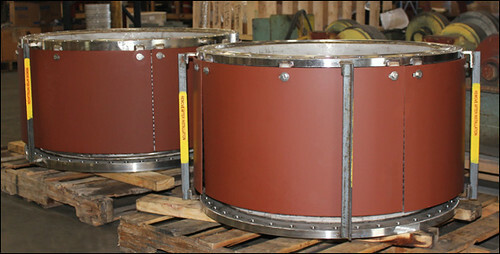 This 48-3/4″ diameter single metallic expansion joint will be used in a heat exchanger. 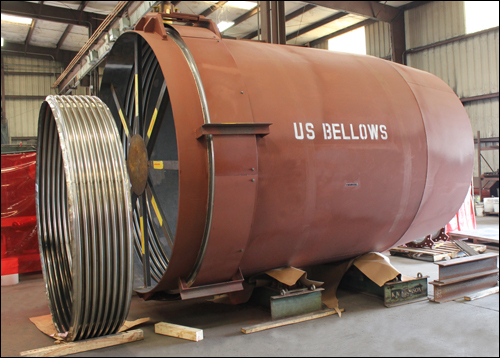 The bellows are 321 stainless steel and the pipe is 304 L stainless steel. 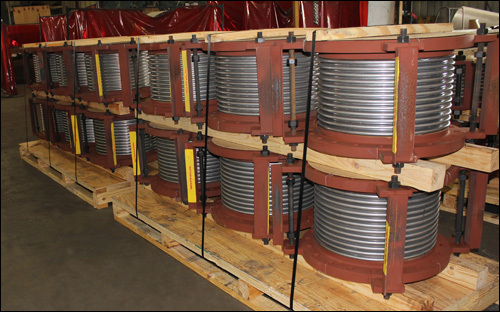 This expansion joint is rated for 145 psi with 1″ compression and temperatures up to 600°F. 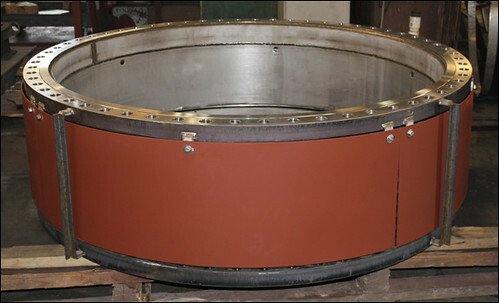 The unit was 100% x-ray tested, hydro-tested and 100% dye penetrant tested. 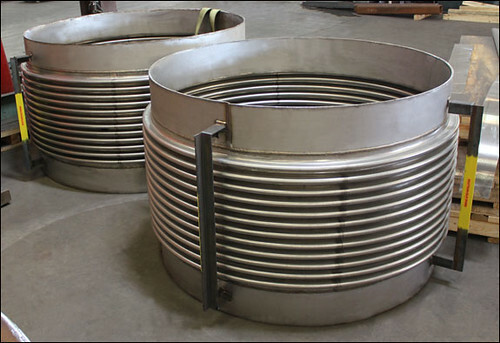 The single expansion joint is simply a bellows element with end connections. 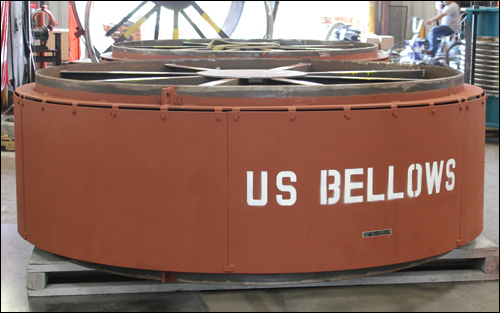 Regardless of accessories, such as liners and covers, it will deflect in any direction or plane that the bellows will. 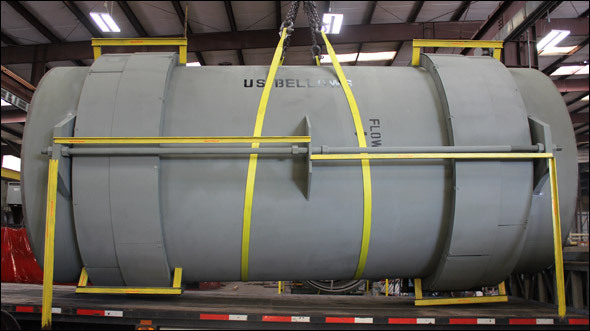 It is the least expensive type, but requires that the piping be controlled as to the direction of the movements required of the unit. 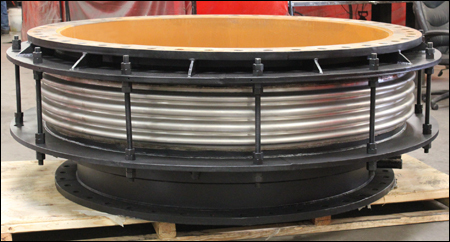 The expansion joint should not be expected to control the movement of the pipe. 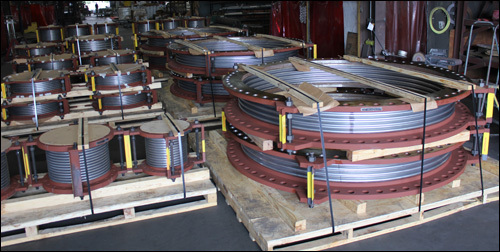 If the piping analysis shows that the expansion joint must accept axial compression, then the piping must be guided and constrained so that only that movement will occur. 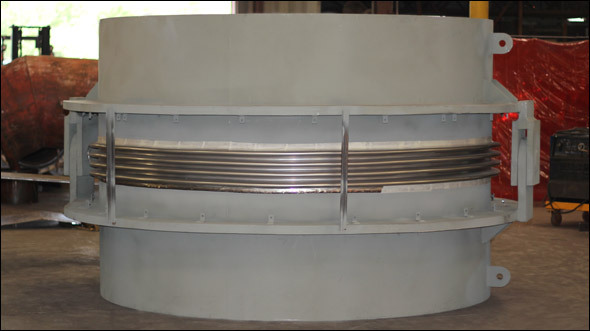 This expansion joint will not resist any deflections with any force other than the resistance of the bellows, which is a function of the spring rate times the deflection amount. 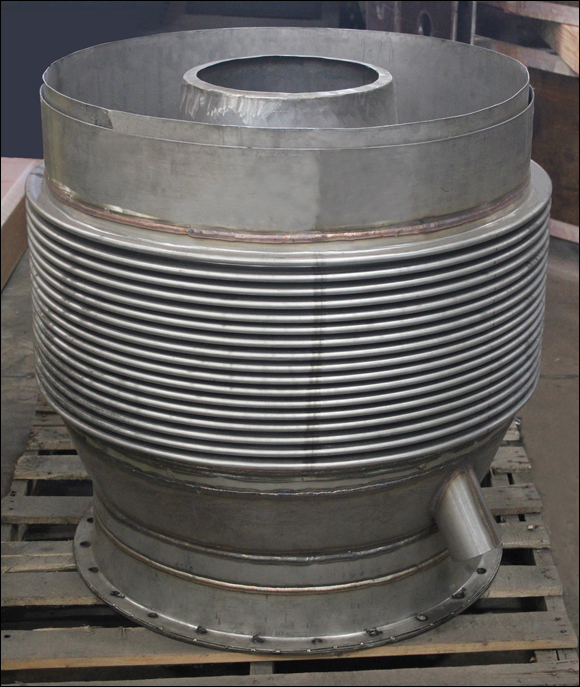 It is incapable of resisting the pressure thrust along its axis, which is the product of the pressure times the effective, or cross sectional, area of the bellows. 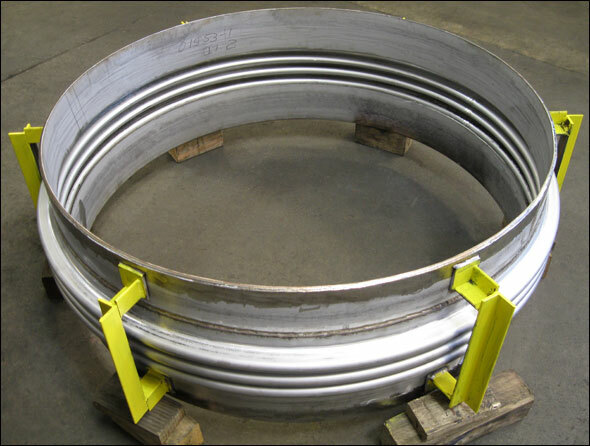 Large diameter units, even with low pressures, can generate very large axial pressure thrust forces, which must be reacted by main and directional anchors. Otherwise the expansion joint will extend with disastrous results.